BEINTA is a symphonic song-cycle of darkness and longing, about daring to set out into the unknown. Anna Katrin Øssursdóttir Egilstrøð and I wanted to explore and combine sonorities from contemporary classical music and alternative pop accompanied by the raw, atmospheric work of Faroese film duo Rammatik. The piece was premiered in 2016 as a part of AUT‘s 50th Anniversary at the SPOT Festival in collaboration with Aarhus Symphony Orchestra. This year the piece will be performed in Symfonisk Sal, Musikhuset Aarhus, Saturday April 27th 2019 at 1pm. Tickets here! This entry was posted in News on 18.03.2019 by Allan Gravgaard Madsen. I was invited to watch and talk about the Chuck Norris-movie Top Dog in the podcast Hakkedrengene. Practise your Danish and listen to the podcast here. This entry was posted in News on 08.03.2019 by Allan Gravgaard Madsen. In the beginning of the year, Nikolaj Koppel and I worked on a new piano arrangement of the song Amsterdam by Danish rock band Nephew. The arrangement will be performed by Nikolaj at Nephew’s 12-concert Ring-i-Ring Arena Tour 2019, which Nikolaj was invited to participate in. 11 out of 12 concerts are sold out, so hurry up if you want tickets! The tour begins today and ends March 30th. This entry was posted in News on 01.03.2019 by Allan Gravgaard Madsen. Thank you to Reader in Composition Richard Causton from the Faculty of Music, University of Cambridge, for inviting me to present a Talk about my music this week. It was very nice to meet some of the composers studying at the University and to visit Cambridge for the first time. Unfortunately I didn’t have as much time to explore the city as I would’ve liked, but courtesy of RIchard Causton I got a special guided tour in King’s College and not least the Chapel. The vaulted ceiling was overwhelmingly beautiful. 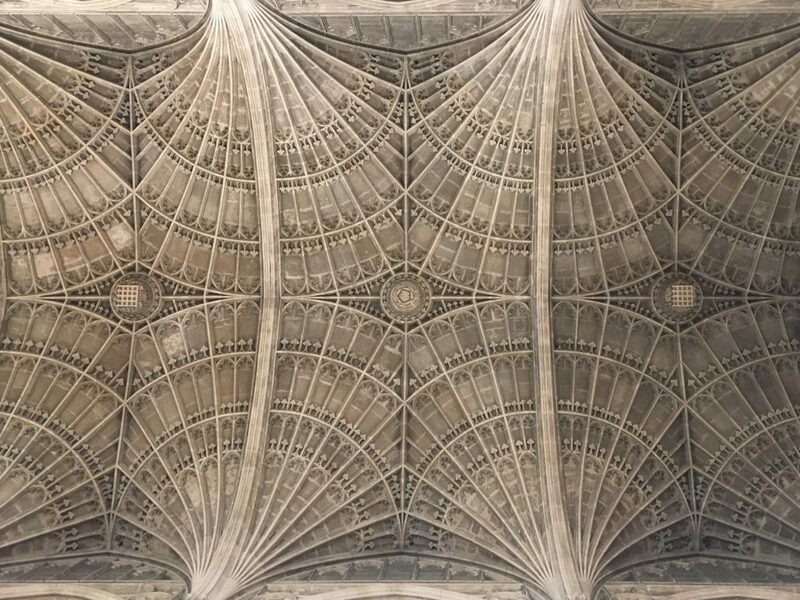 The astonishing vaulted ceiling in King’s College Chapel, a building constructed from 1446 to 1531. This entry was posted in News on 14.02.2019 by Allan Gravgaard Madsen. Thank you to Athelas Sinfonietta Copenhagen and conductor Jean Thorel for their great performance of my Ouverture yesterday at Johan Borups Højskole! It was a very nice concert, where you could also experience a premiere of a new monumental work, ENSEMBLE, by Simon Christensen and a Danish first performance of Missy Mazzoli‘s In Spite of All This from 2005. This entry was posted in News on 04.02.2019 by Allan Gravgaard Madsen. My piece Ouverture opens the show, when Athelas Sinfonietta Copenhagen performs the concert titled ‘Old formats – new works’ in Copenhagen this coming Sunday. The piece was originally commissioned by ensemble recherche with support from the Ernst von Siemens Musikstiftung and performed by them a number of times. This will be the first performance of the piece in Denmark, and also the first time Athelas Sinfonietta Copenhagen performs a work by me. The concert also includes the Danish first performance of In spite of all this by Missy Mazzoli and the premiere of ENSEMBLE by Simon Christensen. 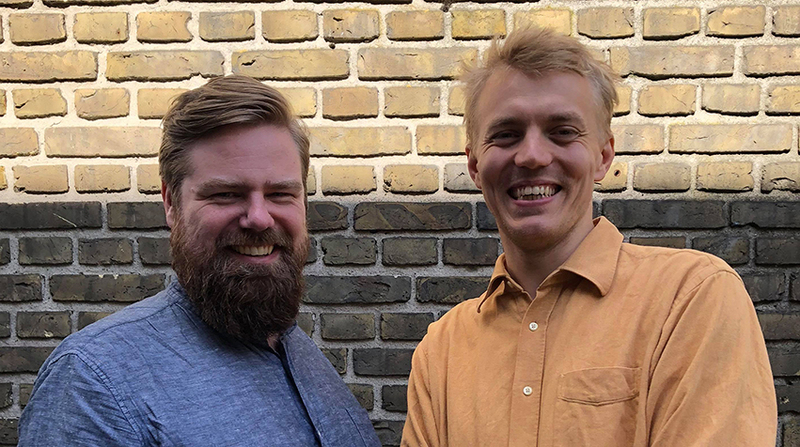 Read all about it here (in Danish)! This entry was posted in News on 30.01.2019 by Allan Gravgaard Madsen. This year Aarhus Symphony Orchestra will premiere my new arrangement of Glade Jul, Dejlige Jul (“Stille Nacht, heilige Nacht”) at their annual Christmas Concerts. 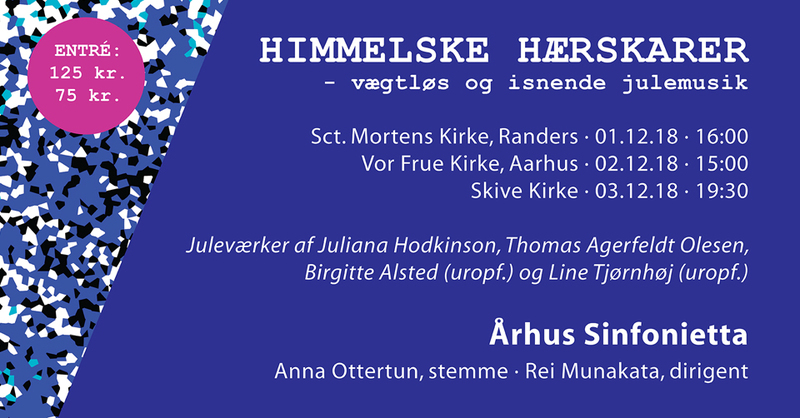 It was written for soloists Frederikke Kampmann (soprano), Anders Christensen (tenor) and school choirs from Aarhus and Ole Faurschou will be conducting. The arrangement will be premiered in Symphonic Hall, Musikhuset Aarhus, December 19th at 7pm and repeated in the same hall by Ole Faurschou, Aarhus Symphony Orchestra and Akademisk Kor Århus December 20th 7:30pm. This entry was posted in News on 11.12.2018 by Allan Gravgaard Madsen. This entry was posted in News on 27.11.2018 by Allan Gravgaard Madsen. “Gaude! Gaude!” December 8th the Swedish chamber choir Riddarholmens Kammerkör and conductor Stefan Boström will perform my arrangement of the hymn Veni, veni Emmanuel at the Gustaf Adolfskyrkan in Stockholm. 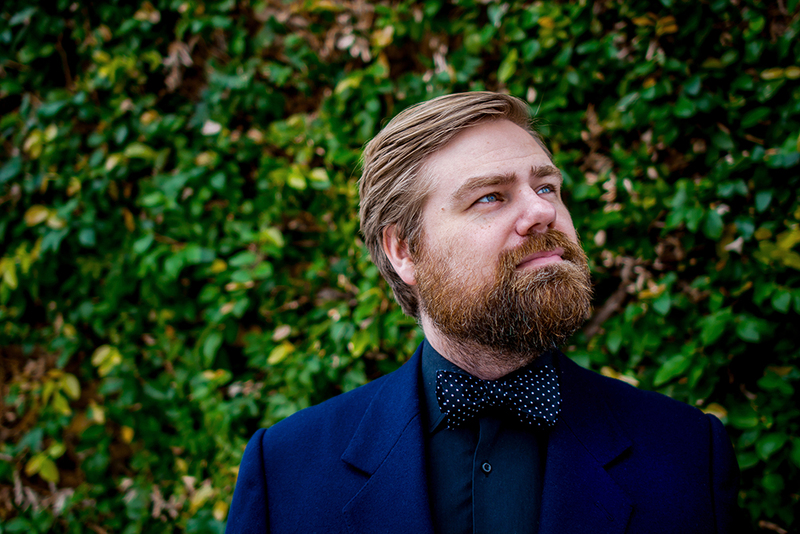 The two performances will be the Swedish first performance of the arrangement, which was recorded by Vocalgroup Concert Clemens and conductor Carsten Seyer-Hansen in 2016. Drop by the concerts with Riddarholmens Kammerkör, if you are in Stockholm December 8th or listen to the arrangement with Concert Clemens on Spotify here! This entry was posted in News on 25.11.2018 by Allan Gravgaard Madsen. Den Korte Weekendavis wins Prix Radio 2018! Friday September 28th Den Korte Weekendavis received the award as Best Satire Show at the official radio awards Prix Radio for the 4th year in a row! Congratulations to the whole team! You are the funniest people I know and it is a privilege to work with you. This entry was posted in News on 29.09.2018 by Allan Gravgaard Madsen. A very heartfelt thanks to ensemble recherche for a great premiere of my SUITE last night at Warsaw Autumn. I started working on the piece in 2014 as a participant in the ensemble’s ‘Klassen-Arbeit’ workshop-project and with support of the Ernst von Siemens Musikstiftung in 2016, I was able to finish an additional movement, which was first performed at the Ultraschall Festival in 2017. Now, with the invitation from Warsaw Autumn, the complete 20 mins SUITE could be finished. Thank you so much to Warsaw Autumn for this opportunity! Applause after the concert @ Warsaw Autumn, where ensemble recherche premiered my complete SUITE. This entry was posted in News on 23.09.2018 by Allan Gravgaard Madsen. Thank you to the audience, production team and volunteers at the Badesøen Festival for a nice day with great music and positive atmosphere! Looking forward to the festival next year! See great pieces from the festival here! This entry was posted in News on 28.08.2018 by Allan Gravgaard Madsen. It has just been announced that I will host the main stage at Badesøen Festival this year. The one-day festival, arranged by The Lake, Forbrændingen and Friluftsbadet Badesøen in Albertslund just outside Copenhagen, will take place Saturday August 25th from 1pm to the evening. Line-up includes Yo La Tengo, Anna von Hausswolff, Mad Professsor, Sjæl I Flammer ft. Kasper Winding and many more! Tickets and full line-up here! This entry was posted in News on 01.08.2018 by Allan Gravgaard Madsen. So very happy to announce that Ensemble recherche will premiere my complete SUITE at Warsaw Autumn September 22nd 2018! Check out the full program for the festival here! This entry was posted in News on 19.07.2018 by Allan Gravgaard Madsen. I will attend both weeks of the International Summer Course in Darmstadt. Looking very much forward to visit this historic event and get a chance to meet old and new friends, listen to new pieces, attending seminars and taking lessons with some of the most interesting composers right now. Deeply thankful for the grant from The Augustinus Fond that have made my visit here possible. This entry was posted in News on 14.07.2018 by Allan Gravgaard Madsen. It has just been announced that I will join the rest of the cast of ‘Det Skide Show’ for the three last performances ever. 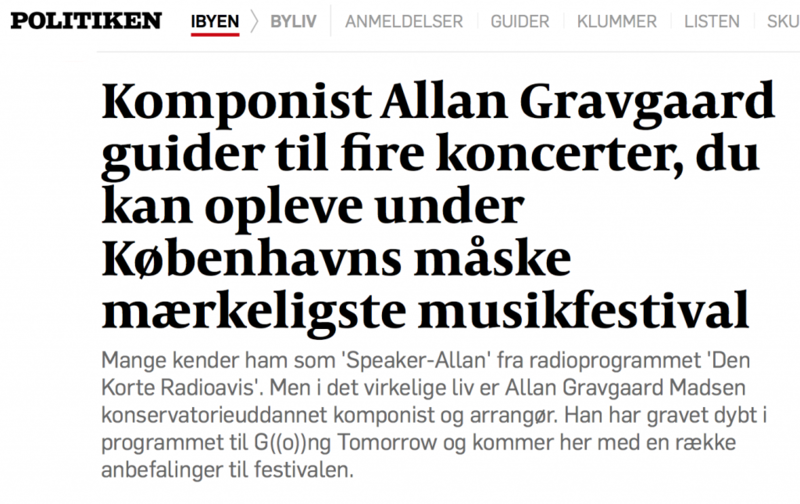 As the character Speaker-Allan, I will take part in the three performances at the Royal Danish Playhouse (“Skuespilhuset”), which will be the end of a tour with 20 performances. Tickets for the 14th to 16th of June are on sale here! This entry was posted in News on 06.06.2018 by Allan Gravgaard Madsen. Thank you to the ensemble recherche and the Inselfestival Hombroich for a wonderful time at the Stiftung Insel Hombroich this past weekend. Saturday and Sunday ensemble recherche performed at two very diverse concerts with pieces by Sauli Zinovjev, Þorsteinn Gunnar Friðriksson, Pär Lindgren, Ilkka Hammo, Lotta Wennäkoski, Alti Ingolfsson, Nicolas von Ritter, Nicolas Kuhn, Georg Kröll, Lisa Streich, Petter Ekman, Marc Gracia Vitoria, Stephanie Haensler and yours truly. If you haven’t been there, the museum park is a must see. I saw pieces by Rembrandt, Yves Klein, Henri Matisse, Alexander Calder, Bart van der Leck, Gustav Klimt, Paul Cézanne, Norbert Kricke and many more. Applause after ensemble recherche’s first concert @ the Inselfestival Hombroich 2018. This entry was posted in News on 21.05.2018 by Allan Gravgaard Madsen. On Saturday May 19th 8pm ensemble recherche will perform my Ouverture @ the Raketenstation Hombroich, Veranstaltungshalle, as a part of the Hombroich Inselfestival. See the full festival here! Map over the Insel Hombroich complex near Neuss, Germany. This entry was posted in News on 17.05.2018 by Allan Gravgaard Madsen. This entry was posted in News on 28.04.2018 by Allan Gravgaard Madsen. It has just been announced that The Saint Bernard Syndicate was awarded ‘Best Screenplay in an International Narrative Feature’ (Lærke Sanderhoff) and ‘Best Actor in an International Narrative Feature’ (Rasmus Bruun) @ the Tribeca Film Festival 2018! Read the full list of awarded films here including the jury’s comments! The now award-winning film will have its Danish premiere May 10th 2018. Congratulations to the whole team! This entry was posted in News on 27.04.2018 by Allan Gravgaard Madsen. Saturday April 7th 2018 my Fanfare for 16 musicians will be premiered at the RAMA Festival. It’s written specially for the Symphonic Hall in Musikhuset Aarhus in mind and will make use of the whole venue. I’m very happy to have been asked to do this fanfare by professor Niels-Ole Bo Johansen, who will also conduct the premiere at the first part of the RAMA Festival Gala Concert 7:30pm. Small fragment from ‘Fanfare’, which will be premiered Saturday April 7th 2018 7:30pm. This entry was posted in News on 02.04.2018 by Allan Gravgaard Madsen. 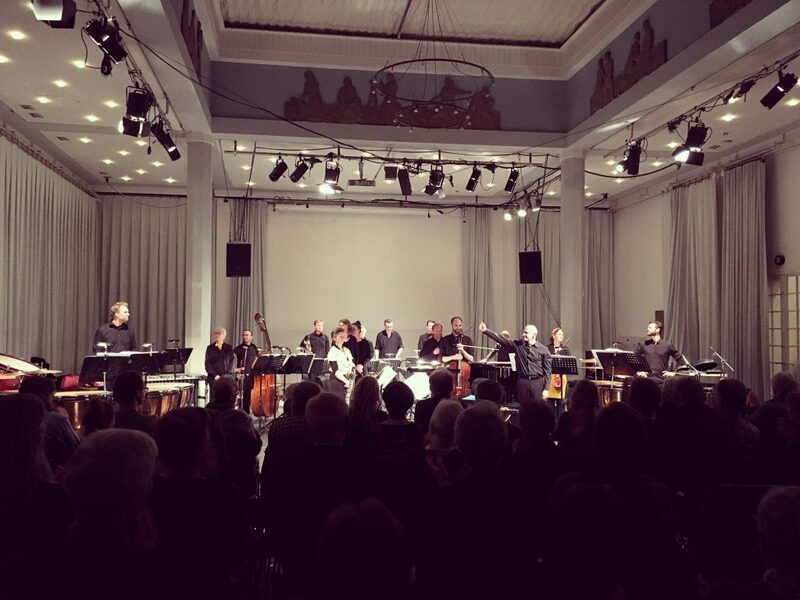 Thank you to ensemble recherche for an excellent German premiere of my Intermezzi for percussion and piano last night at the Morat-Institut für Kunst und Kunstwissenschaft, Freiburg. Looking forward to work with the whole ensemble in May, when they perform my Ouverture at the Hombroich Insel Festival May 19th. Applause after the concert @ Morat-Institut für Kunst und Kunstwissenschaft, Freiburg. This entry was posted in News on 10.03.2018 by Allan Gravgaard Madsen. 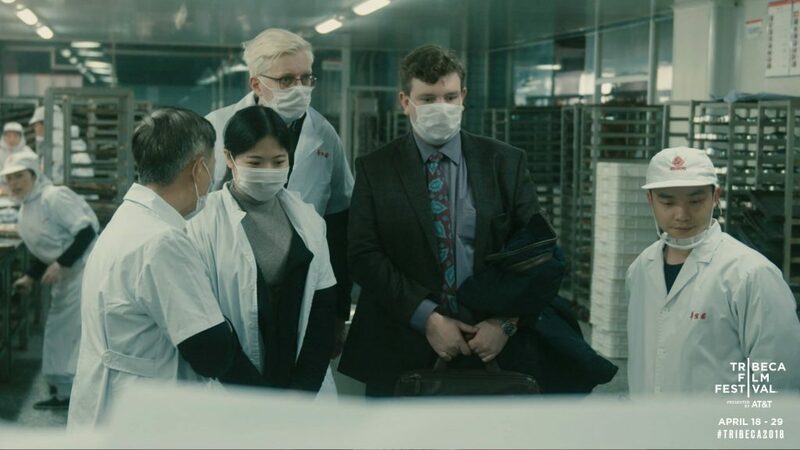 Back in January 2017 I was asked to do two arrangements for a local Chinese string quartet for a scene in the film. I must admit that I still don’t know if the scene is in the film or not, but I’m looking forward to see this film, because it features two of my friends, Frederik Cilius and Rasmus Bruun, as the main characters. This entry was posted in News on 08.03.2018 by Allan Gravgaard Madsen. Conductor Carsten Seyer-Hansen and Vocalgroup Concert Clemens received the ‘Listeners Choice’-award for their CD ‘There is no rose…’ at the Danish Broadcasting Corporation’s P2 Award Show last night. Thank you to Carsten and Concert Clemens for always being positive and constructive. A pleasure working with you! Congratulations with the award! Listen to the album here! This entry was posted in News on 20.01.2018 by Allan Gravgaard Madsen. 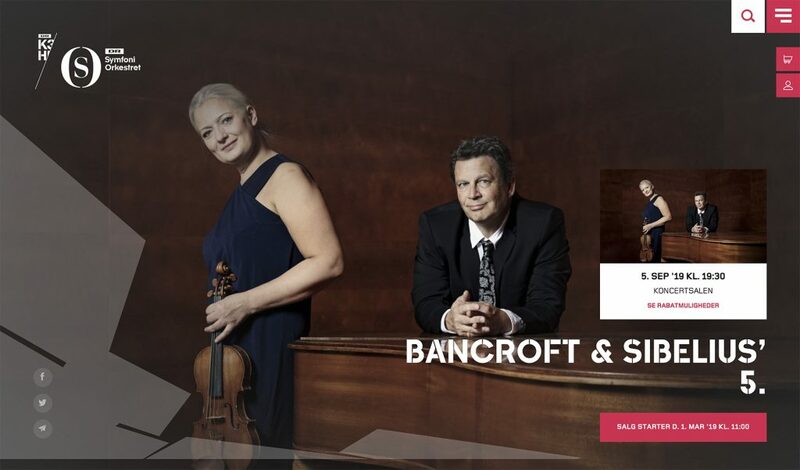 I’m very excited to announce that I have been commissioned by the Danish Broadcasting Corporation to write a new double concerto for violin, piano and orchestra for Duo Åstrand / Salo (Christina Åstrand (violin) and Per Salo (piano)) and the Danish National Symphony Orchestra. The date for the premiere is not fixed yet. Looking forward to work closely with Christina and Per in the development of this piece! This entry was posted in News on 04.01.2018 by Allan Gravgaard Madsen. 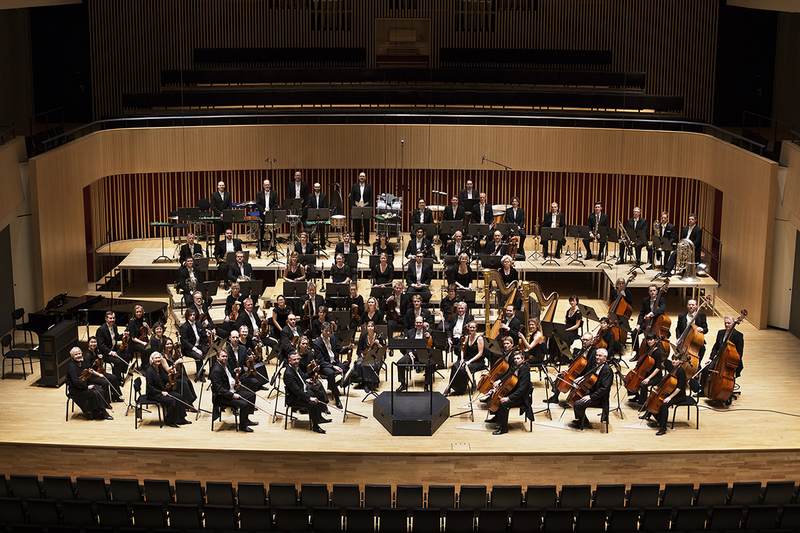 Aarhus Symphony Orchestra‘s ‘Musikkens Børn‘ is now online. If you are having a baby in Aarhus in 2018, then I have great news for you. If you register your baby and yourself you will be offered short baby-concerts with musicians from the orchestra close to your home and you will get a lot of ideas to how to use the music with your child and share it within your family. As your baby becomes older, you will be invited to come and hear the whole symphony orchestra in concert! I was so lucky to be asked to compose music for the infomercial about the project. Thank you to Søren Kinch Hansen, Aarhus Symphony Orchestra and Henrik Winther Hansen, who recorded the music in August 2017. This entry was posted in News on 02.01.2018 by Allan Gravgaard Madsen. I was so lucky to be the host at two New Year’s Concerts at the Copenhagen Opera House. 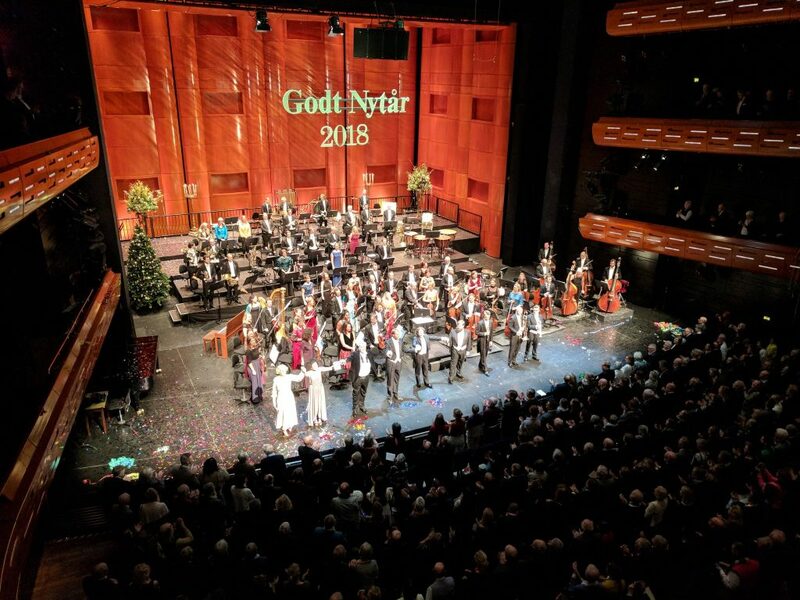 A heartfelt thank you to the festive audience, the Royal Danish Orchestra, conductor Christian Vasquez, the soloists (Sofie Elkjær Jensen, David Kempster, Marianna Shirinyan and members of the orchesta) and not least all the people behind the scenes. It was a big pleasure to see how all the different departments at the Royal Danish Theater works together on one final product. It is a type of cooperation, where there is a short way from thought to action and where tradition and innovation walks hand in hand. If I didn’t like the Royal Danish Theater before, I do now! Happy New Year! This entry was posted in News on 01.01.2018 by Allan Gravgaard Madsen. Looking through my calendar for 2017, I once again find myself feeling very privileged and thankful for being able to look back on a year filled with work involving so many wonderful and amazing people! There are many individual people to thank, but for providing their talents for my output in 2017 I would especially like to thank ensemble recherche, Ensemble Lemniscate, Kollektiv Totem, Esbjerg Ensemble, Ensemble du Bout du Monde, Aarhus Symfoniorkester, Vocalgroup Concert Clemens, Carsten Seyer-Hansen and Søren Kinch Hansen. A very special thank you goes to Mathias Kjøller and the JACK Quartet for participating in my DEBUT in May. All of you make me want to work harder and become better. Happy New Year and best wishes for 2018! This entry was posted in News on 27.12.2017 by Allan Gravgaard Madsen. During the last day of the year I will host two concert with the Royal Danish Orchestra and conductor Christian Vasquez. The repertoire will be a mix of Danish romantic pieces, musical songs and an American half with pieces by Gershwin and Berstein – amongst other things! Very excited for this! More info here! Screen shot from the Royal Theatre’s website. This entry was posted in News on 11.12.2017 by Allan Gravgaard Madsen. 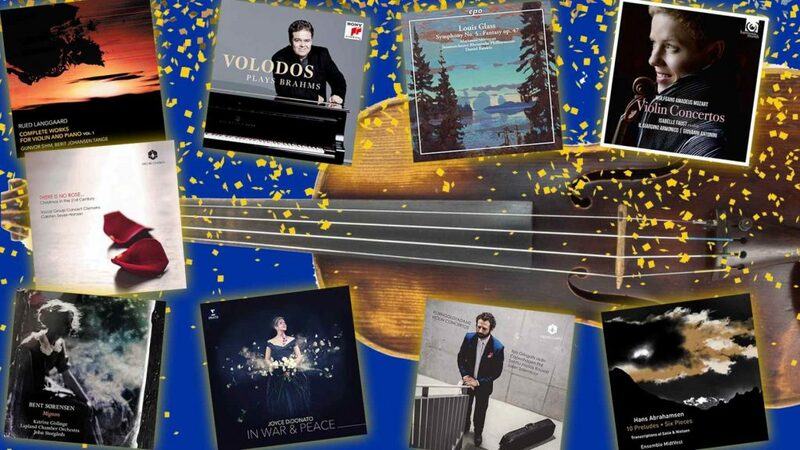 The CD ‘There is no rose’ – with an arrangement of ‘Veni, Veni Emmanuel’ by yours truly – has just been nominated in the category ‘Danish Album of the year’ by the Danish Broadcasting Corporation’s channel for classical music, P2. The winner will be announced at the P2 Award Show the 19th of January. Thank you to conductor Carsten Seyer-Hansen and the Vocalgroup Concert Clemens for an always positive energy and not least a great recording. Fingers crossed! This entry was posted in News on 03.12.2017 by Allan Gravgaard Madsen. I’m very happy to announce that I have accepted an invitation from Århus Sinfonietta for the position as their new Artistic Director starting from the 2018-season. 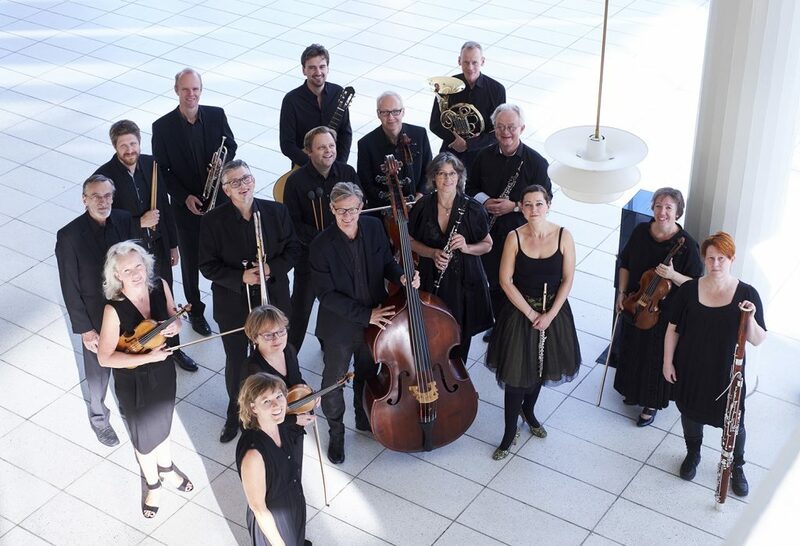 Since 1990 the ensemble has commissioned, premiered and performed hundreds of new works and now New Music-classics by national and international composers like Per Nørgård, Pelle Gudmundsen-Holmgreen, Kaija Saariaho, Karl Aage Rasmussen, Niels Rosing-Schow, Bent Sørensen, Mette Nielsen, Karlheinz Stockhausen, György Ligeti, Edgard Varèse, Salvatore Sciarrino, Simon Steen-Andersen, Thomas Agerfeldt Olesen, Ole Buck and many others. Including pieces by Li-Ying Wu, who was the ensemble’s Composer-in-Residence from 2011 to 2014. Looking forward to announce the new season in the near future! This entry was posted in News on 17.11.2017 by Allan Gravgaard Madsen. On Monday the 6th of November Den Korte Radioavis will receive Den Gyldne Grundtvig. Bo Klindt Poulsen, chairman of the prize committee, writes: “Through their original and gifted use of satire and comedy, Den Korte Radioavis, has managed to create a news coverage that appears far sharper, more relevant and uncompromising than the rest of the Danish news.” Congratulations to the team behind Den Korte Radioavis! Read the article in Stiften about the award. This entry was posted in News on 04.11.2017 by Allan Gravgaard Madsen. I was asked by Politiken to make a guide to the upcoming festival G((o))ng Tomorrow. 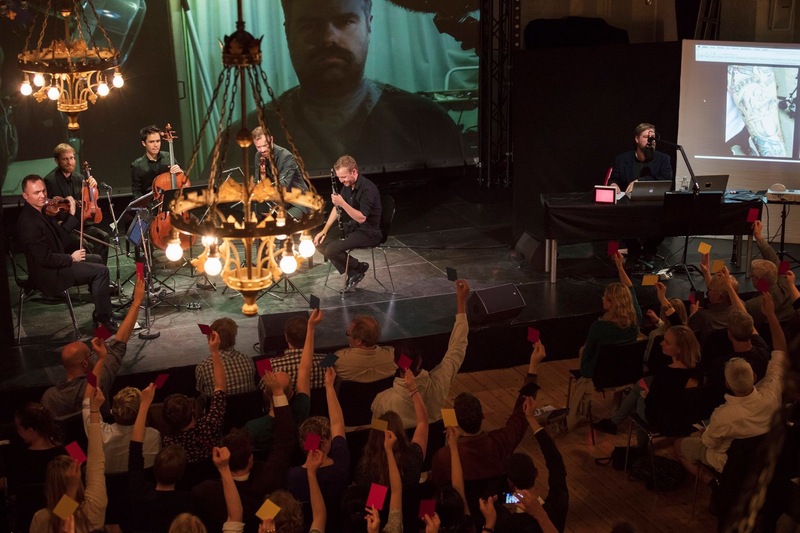 I recommended the opening concert with Neue Vocalsolisten Stuttgart, the 12-hour performance with Jacob Kirkegaard + We like We, the concert with Julie Kjaer+ and Bent Sørensen & co. @ Glyptoteket! The festival runs from November 3rd to 11th! This entry was posted in News on 01.11.2017 by Allan Gravgaard Madsen. My piece for prepared saxophone quartet, Schattenschwarz, will be performed by Ensemble du Bout du Monde at four occasions in Greece in November. Thank you to Ensemble du Bout du Monde for taking on the piece! Please go ahead and check out their complete season here! This entry was posted in News on 03.10.2017 by Allan Gravgaard Madsen. Den Korte Radioavis won two prizes at the official radio awards Prix Radio last Friday. Congratulations to the whole team behind the show with the awards for Best Satire Show of the Year and Best Show of the Year – in the 3rd year in a row! Thanks for letting me play along once in a while! This entry was posted in News on 20.09.2017 by Allan Gravgaard Madsen. I have just finished the score for Aarhus Symphony Orchestra’s upcoming informercial about their Musikkens Børn-project. A project that offers to ‘adopt’ all children born in Aarhus in 2018 and offer the children and their parents special concerts until the children have reach 6 years of age. 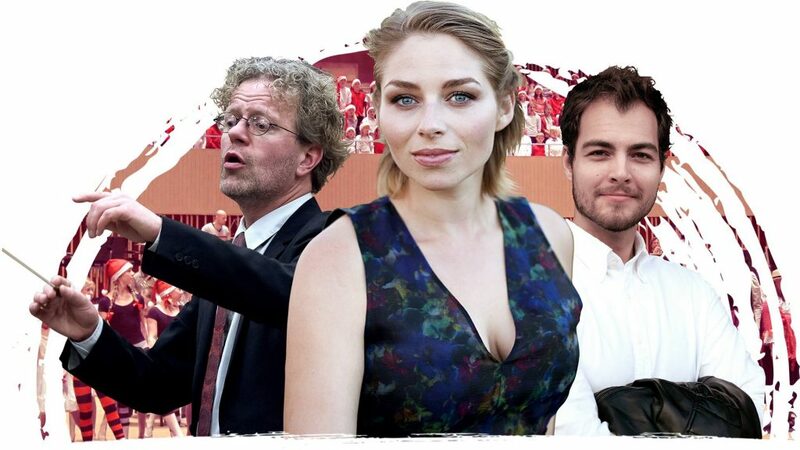 The score will be recorded the 23rd of August in Symphonic Hall by the orchestra conducted by Søren K. Hansen. Musikken Børn was made possible with a very generous donation from Nordea Foundation and The Obel Family Foundation. 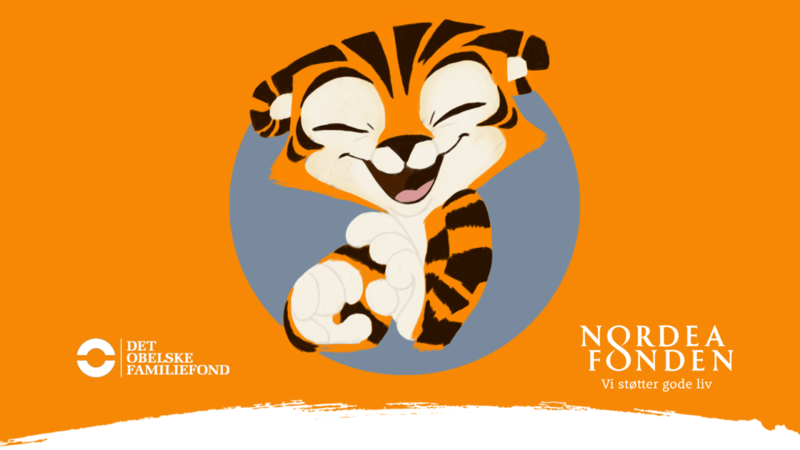 Musikkens Børn’s mascot, the tiger Tutti. This entry was posted in News on 05.08.2017 by Allan Gravgaard Madsen. I will be the new Composer-in-Residence for Aarhus Symphony Orchestra from 2017 to 2021. This entry was posted in News on 22.06.2017 by Allan Gravgaard Madsen. Interview in Fine Spind in the aftermath of my DEBUT @ Musikhuset Aarhus (May 26th) and @ KoncertKirken / KLANG Festival (May 27th) with JACK Quartet and Mathias Kjøller. Practise your Danish and read the full interview by Mette Wallin Andersen via this link. Photos: Mariana Gil. This entry was posted in News on 17.06.2017 by Allan Gravgaard Madsen. Thank you to all who showed up at the premiere of DEBUT Friday May 26th in Musikhuset Aarhus and Saturday May 27th at KLANG Festival in KoncertKirken! Thank you to everyone who was involved in the process of making it happen and not at least thank you to timbre extraordinaire Mathias Kjøller and the ever amazingly awesome JACK Quartet! I feel so privileged to be able to work with such nice people and great musicians. This entry was posted in News on 06.06.2017 by Allan Gravgaard Madsen. Interview in Magasinet Klassisk in connection with my upcoming DEBUT @ Musikhuset Aarhus (May 26th) and @ KoncertKirken / KLANG Festival (May 27th) with JACK Quartet and Mathias Kjøller. 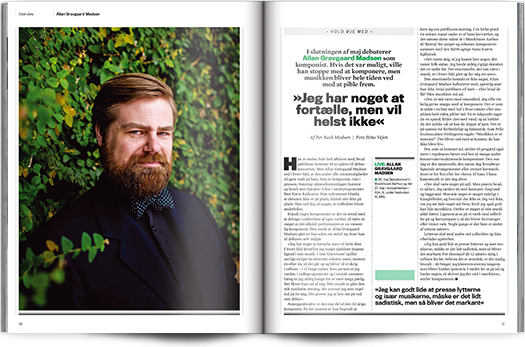 It’s in Danish but the headline says: “I have something to say, but I’d rather not.” Practise your Danish and read the full interview by Per Rask Madsen in the current edition of the magazine or read a excerpt here. Photo: Stine Vejen. This entry was posted in News on 11.05.2017 by Allan Gravgaard Madsen. Today I was elected to be the new chairman of AUT – Aarhus Unge Tonekunstnere – an organisation focusing on sounds arts since 1966. 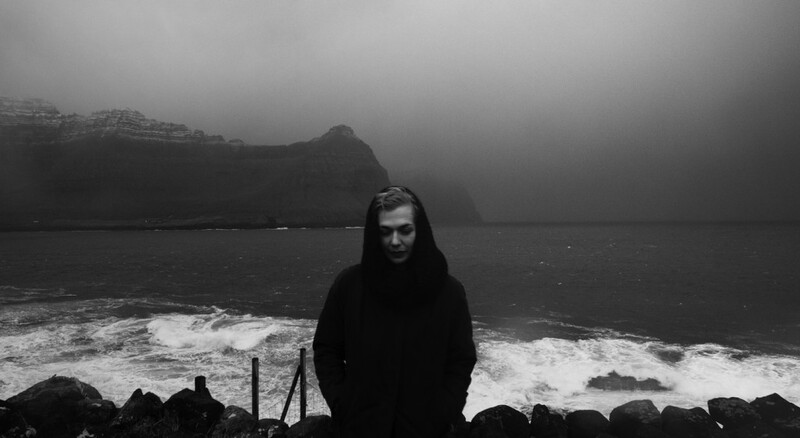 Very happy to take over after Line Tjørnhøj, who has done massive work to make AUT an important voice for the new and experimenting sounds of our time. I hope to continue this work with as much success as Line has. This entry was posted in News on 27.04.2017 by Allan Gravgaard Madsen. Last night @ the Danish Broadcasting Corporation’s DR P2, the recording of my ‘Ouverture’ performed by ensemble recherche @ Ultraschall Berlin – Festival für Neue Musik – was broadcast. You can stream it here. The link should start 2:25:00 in the programme. It also features an ultra short interview (in Danish) with me by Max Fage-Pedersen about my stay in Freiburg and working with ensemble recherche. This entry was posted in News on 26.04.2017 by Allan Gravgaard Madsen. BEINTA nominated for a Carl Award! Today it was announced that BEINTA – a symphonic song cycle – is nominated for a Carl Award in the category “Best Classical Composition – big ensemble”. Anna Katrin and I are very happy and honoured for this appreciation of our piece. The piece was commissioned by AUT – Aarhus Unge Tonekunstnere – for their 50th Anniversary in 2016 and premiered by Anna Katrin, Aarhus Symphony Orchestra and conductor Jesper Nordin at SPOT Festival with visual elements by RAMMATIK in April 2016. BEINTA also received a Prize from the Danish Arts Foundation in December 2016. Fingers crossed until April 24th where the winner of the category will be announced! This entry was posted in News on 21.03.2017 by Allan Gravgaard Madsen. Very honoured and thankful for receiving a Talent Prize from the Léonie Sonning’s Music Fond this year. Thank you to the board for this special honour and congratulations to all of the other Talents receiving a prize this year. Below you can watch an interview with me (in Danish) and a recording of the two first movements from my trio Air for piccolo flute, violin and viola with Anna Jalving (violin), Robert Karlsson (viola) and Marie Sønderskov (piccolo). This entry was posted in News on 14.03.2017 by Allan Gravgaard Madsen. This entry was posted in News on 08.03.2017 by Allan Gravgaard Madsen. In May 2017 I will take my exam from the Avanced Postgraduate Diploma Programme in Composition at the Royal Academy of Music, Aarhus, after 9 years of study. With me I will have some national and international guests, who will be revealed soon. Please come and celebrate with me! More info to come! This entry was posted in News on 06.02.2017 by Allan Gravgaard Madsen. 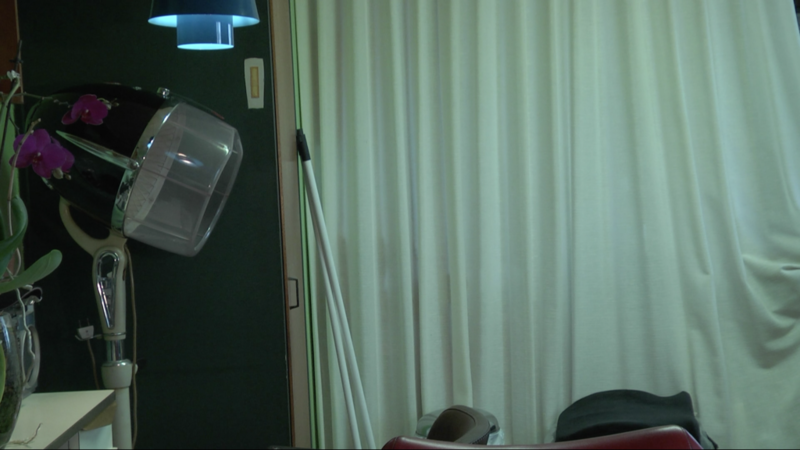 Young Nordic Music Days 2016 Documentary online! Great documentary by Swami Silva about the Young Nordic Music Days / Ung Nordisk Musikfestival which Kaj Duncan David, Lasse D. Hansen and I had the pleasure of organising last August. A big thank you to our team, all the volunteers and of course all the sponsors and collaborators which made it all possible! Iceland will host the Young Nordic Music Days 2017 from August 14th to 19th. This entry was posted in News on 31.01.2017 by Allan Gravgaard Madsen. The words goes to AUT’s 50 Anniversary Concert with Aarhus Symphony Orchestra, Nicolas Hodges and Baldur Bronnimann in October 2016 with works by Lasse D. Hansen, Anna Thorvaldsdottir, Simon Steen-Andersen, Mathias Monrad Møller and Rasmus Zwicki! I was so lucky to be able to curate the concert. Thank you to all involved! This entry was posted in News on 02.01.2017 by Allan Gravgaard Madsen. Thank you to all the musicians and artists that I have been so fortunate to work with in 2016! Especially Vocalgroup Concert Clemens, Carsten Seyer-Hansen (conductor), Aarhus Studiekor, Mathias Skaarup Sørensen (conductor), FACES Ensemble, Aksiom Ensemble, Kai Grinde Myrann (conductor), Randers Kammerorkester, ensemble recherche, Anna Katrin Øssursdóttir Egilstrøð, Aarhus Symphony Orchestra, Jesper Nordin (conductor), Marie Sønderskov (flute), Anna Jalving (violin), Daniel Tølbøll Mortensen (viola), Robert Karlsson (viola), Malthe Volfing Højager (cello), Signe Asmussen (voice), Mathias Kjøller (clarinet), Vibeke Kærsgaard Lembcke (clarinet), Kristian Flagstad (clarinet) and Christian Jørgensen (double bass). Also thank you to the whole team involved with the making of the Young Nordic Music Days in August and the three collaborations with Aarhus Symphony Orchestra, which I curated. Best wishes for 2017 and a Happy New Year to you all! This entry was posted in News on 30.12.2016 by Allan Gravgaard Madsen. Dharma Dreameater 10 Years Anniversary! I wrote the score for Dharma Dreameater in 2006. Today 10 years ago we recorded the score with The Jutland Ensemble in Viborg Musiksal. This entry was posted in News on 20.12.2016 by Allan Gravgaard Madsen. This entry was posted in News on 19.12.2016 by Allan Gravgaard Madsen. The vocal group Concert Clemens newly-released CD with Christmas arrangement by different composers on Orchid Classics is CD of the week on the Danish Broadcasting Corporation’s P2. My arrangement of Veni, Veni Immanuel is highlighted in the review: “… a new, very nice arrangement by Allan Gravgaard Madsen – I wonder if it’s a coming Danish choir classic?” Read the review here (in Danish). The CD can be bought at Amazon, Naxos, iTunes, by contacting Concert Clemens here or at the upcoming concert and CD-release Saturday December 17th 4pm in Aarhus Cathedral. See event. Thank you to Carsten Seyer-Hansen and Concert Clemens for this opportunity. This entry was posted in News on 12.12.2016 by Allan Gravgaard Madsen. So extremely happy to be able to invite you all to concert with my favourite ensemble recherche during the upcoming Ultraschall – Festival für Neue Musik – in Berlin. The 21st of January 5pm they will premiere my new piece Ouverture at Radialsystem V in a program with music by Lotta Wennäkoski, Karin Rehnqvist, Pär Lindgren and Sebastian Claren. See more info here! This entry was posted in News on 27.11.2016 by Allan Gravgaard Madsen. 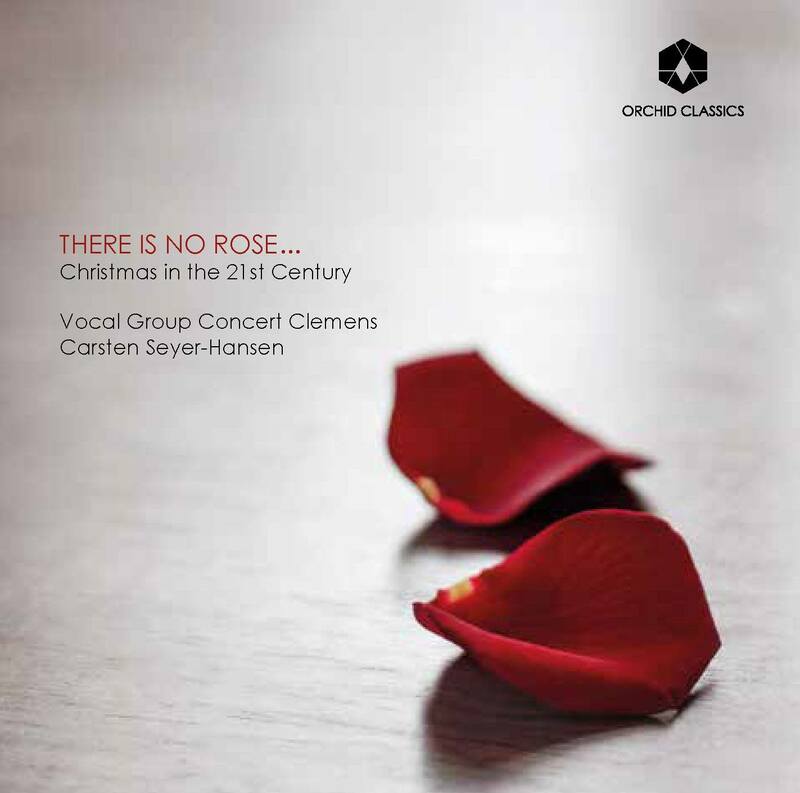 The vocal group Concert Clemens have just released their new CD with Christmas arrangement by different composers on Orchid Classics. My arrangement of Veni, Veni Immanuel is one of the arrangements on the CD. Thank you to Carsten Seyer-Hansen and Concert Clemens for this opportunity. The CD can be bought at Amazon, Naxos, iTunes or by contacting Concert Clemens here. This entry was posted in News on 29.10.2016 by Allan Gravgaard Madsen. Great reviews for AUT 50th Anniversary Concert! 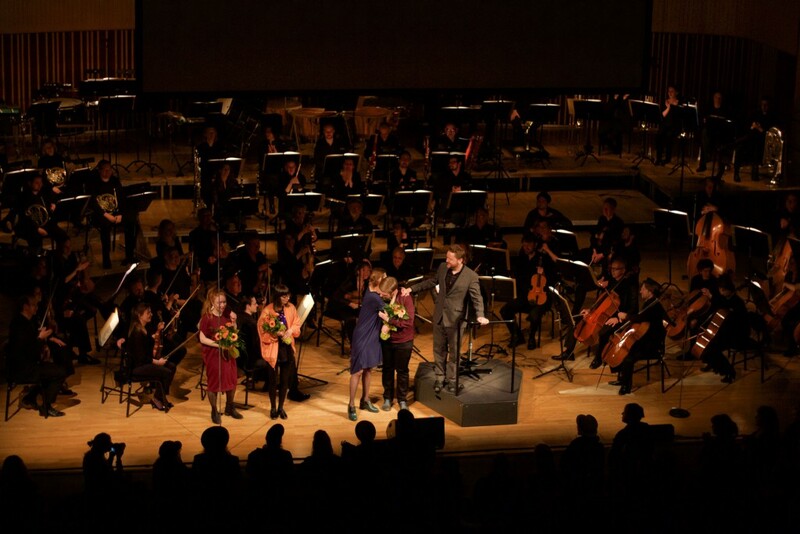 Friday the 7th of October 2016 AUT had their 50th Anniversary Concert with Baldur Brönnimann, Nicolas Hodges, Aarhus Symphony Orchestra and a lot of special guests. I curated the programme for this concert, which consisted of the world premiere of pieces by Lasse D. Hansen and Mathias Monrad Møller, the Danish premiere of pieces by Anna Thorvaldsdottir and Simon Steen-Andersen and an exceptional performance of Rasmus Zwicki‘s Last Symphony. 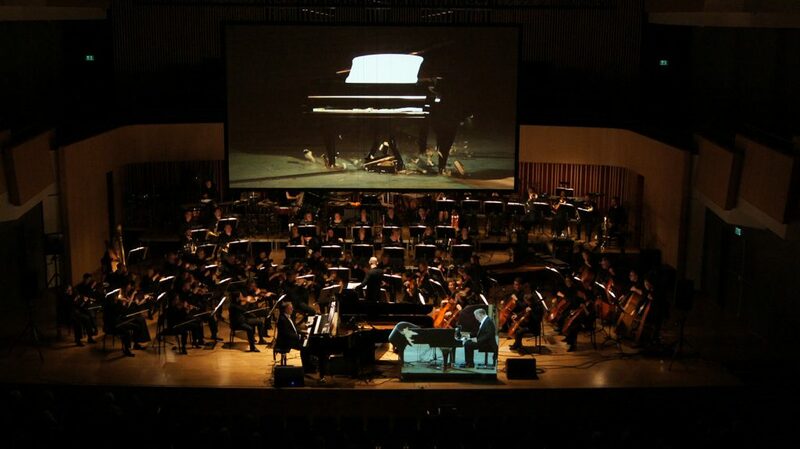 The concert was arranged in collaboration with Aarhus Symphony Orchestra, Royal Academy of Music, Aarhus, SPOT Festival and AUT. This entry was posted in News on 11.10.2016 by Allan Gravgaard Madsen. I will be joining the Danish team once again for yet another edition of the quiz show about contemporary music. The new rounds, where each team will be competing in knowledge about the newest music, will take place during the Nordic Music Days in Iceland the 29th of September to 1st of October 2016. This entry was posted in News on 28.09.2016 by Allan Gravgaard Madsen. Very happy to be able to work with one of my favourite ensembles in the world, ensemble recherche, once again! 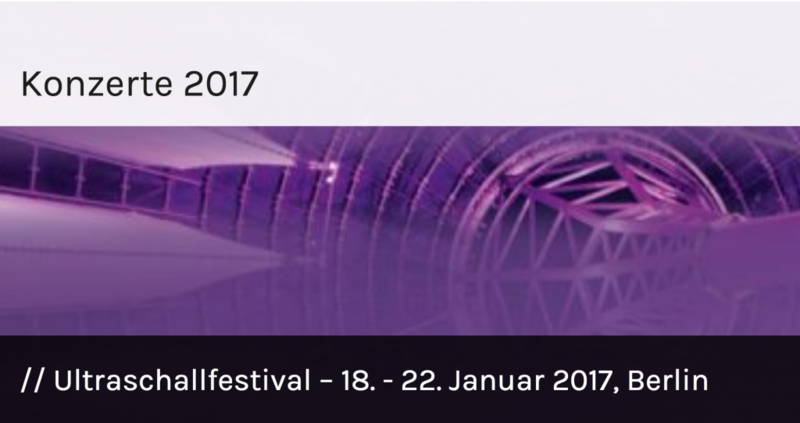 The premiere will take place in Berlin January 21st 2017 at the Ultraschall Berlin – Festival für Neue Musik – with an additional performance in Freiburg January 27th! 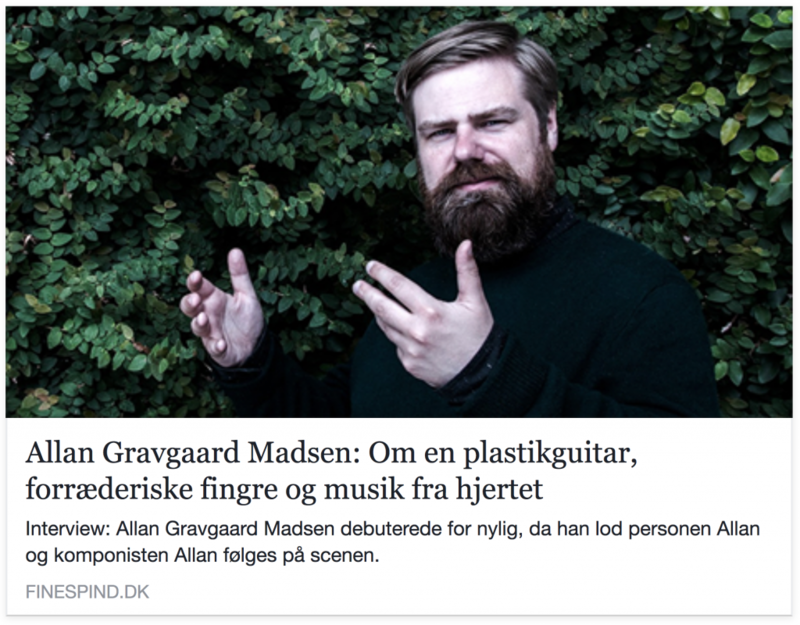 This entry was posted in News on 20.09.2016 by Allan Gravgaard Madsen. Den Korte Radioavis won two prizes at the official radio awards Prix Radio last Friday. Congratulations to the whole team behind the show with the awards for Best Satire Show of the Year and Best Show of the Year! Thanks for letting me play along once in a while! This entry was posted in News on 19.09.2016 by Allan Gravgaard Madsen. I will join the new season of the multi-award winning political satire radio show Den Korte Radioavis. First episode will launch Monday August 29th 2016 and it will be on air every weekday from 12:05pm to 1pm at Radio24syv. This entry was posted in News on 28.08.2016 by Allan Gravgaard Madsen. The Norwegian ensemble Aksiom will perform my Tanz Suite 17th of August 7:30pm at the Young Nordic Music Days in Aarhus. The festival will take place from 15th of August to 20th of August and over 40 pieces by young Nordic composers will be performed during the festival. 8 concerts and 5 talks. All free. See the full programme here! This entry was posted in News on 26.07.2016 by Allan Gravgaard Madsen. This week I received a grant from the Carl Nielsen & Anne Marie Carl-Nielsens Grant. Thank you to the board for this tremendous honour! It is very overwhelming! I received the grant with two of my colleagues Martin Stauning and Mette Nielsen. Congratulations to them and check them out! Edition·S brings an article here. This entry was posted in News on 01.07.2016 by Allan Gravgaard Madsen. Read all the reviews on Edition·S’s website here! This entry was posted in News on 02.05.2016 by Allan Gravgaard Madsen. Teaser for BEINTA out now! Premiere of BEINTA by Anna Katrin Øssursdóttir Egilstrøð & me 3pm the 30th of April 2016 @ Symfonisk Sal, Musikhuset Aarhus, with Aarhus Symphony Orchestra, conductor Jesper Nordin and film elements by Rammatik, who also did the teaser. Tickets here! This entry was posted in News on 19.04.2016 by Allan Gravgaard Madsen.